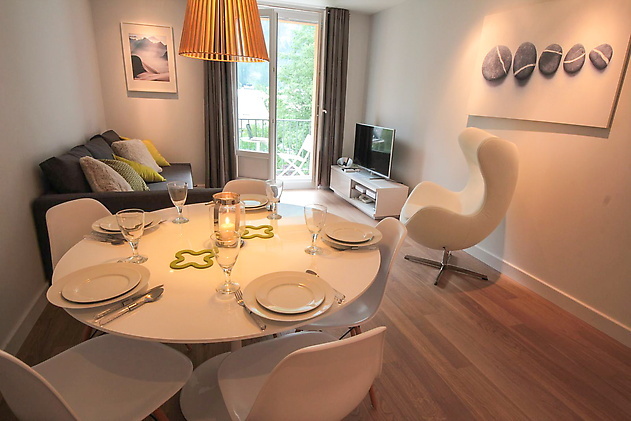 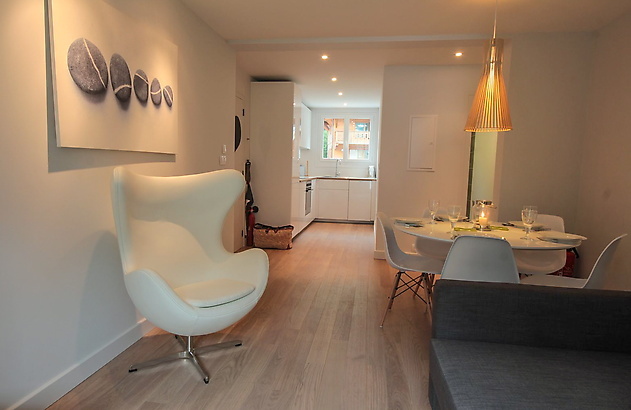 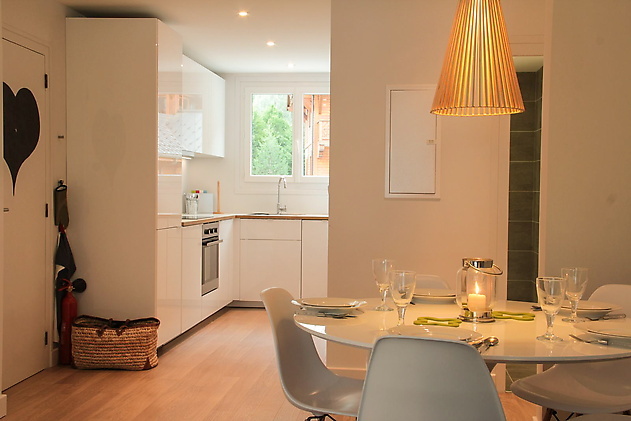 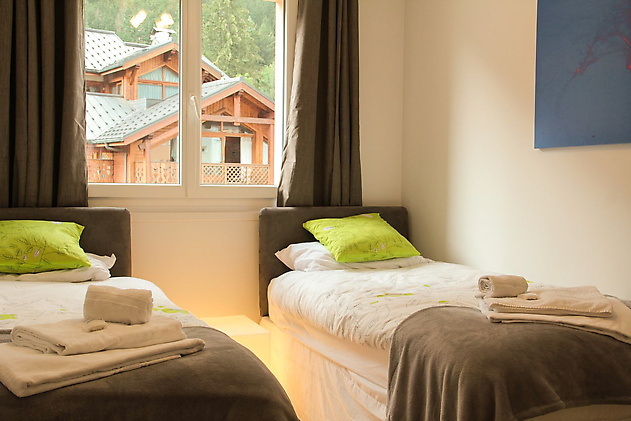 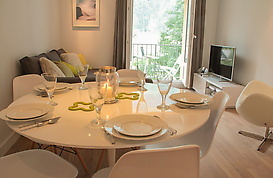 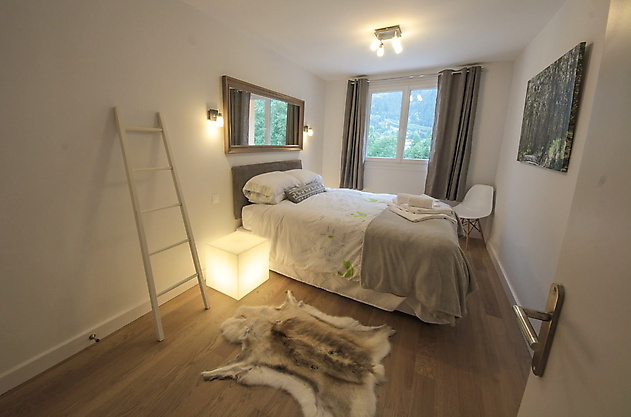 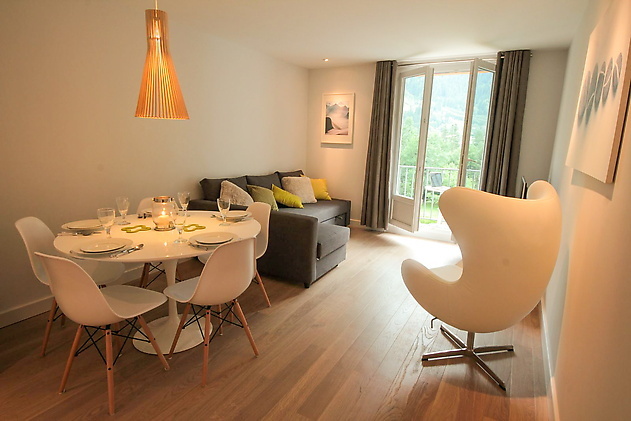 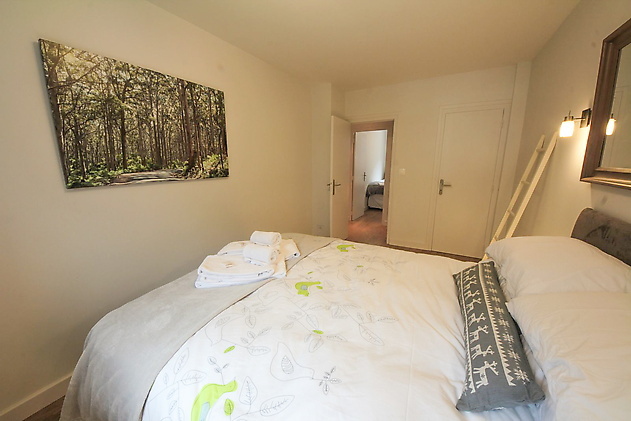 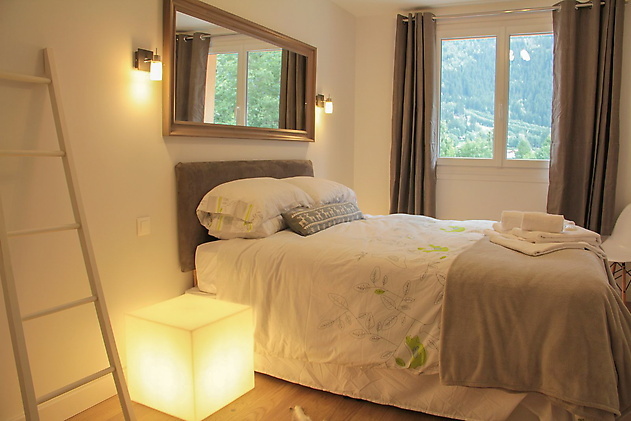 Apartment Sidra is a ski in ski out holiday apartment in Chamonix town that accommodates up to six people in two bedrooms and an additional sofa bed. Completely renovated in 2013 and styled by a professional interior designer, Apartment Sidra offers a chic and colourful retreat with instant access to both the town and pistes. 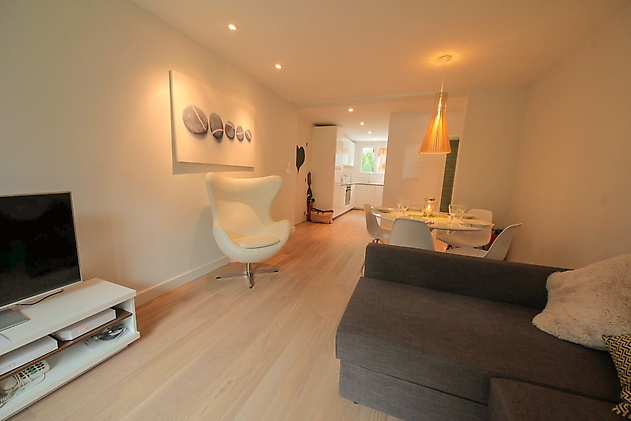 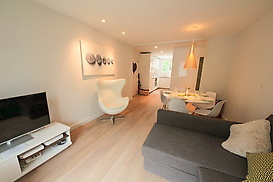 The apartment is on the second floor, serviced by an elevator, facing south with a balcony and has private WiFi internet access, a large plasma TV connected to French and English channels, a DVD player and an iPod docking station. 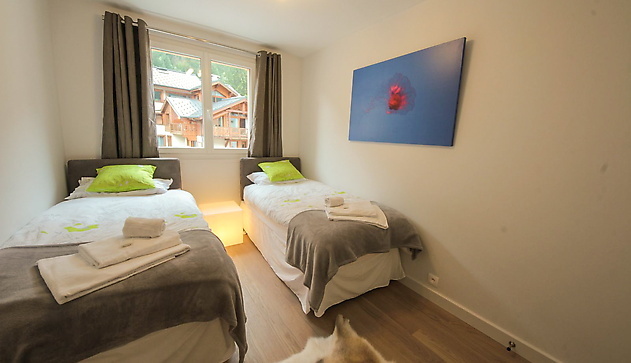 Chamonix town centre is 200m from the front door as is the town’s sports centre with its swimming pool, water slides, gym and climbing wall. 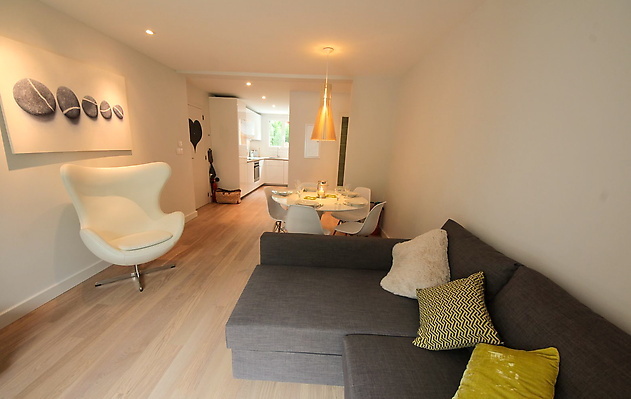 There is private parking outside and a bus stop for those without vehicles. 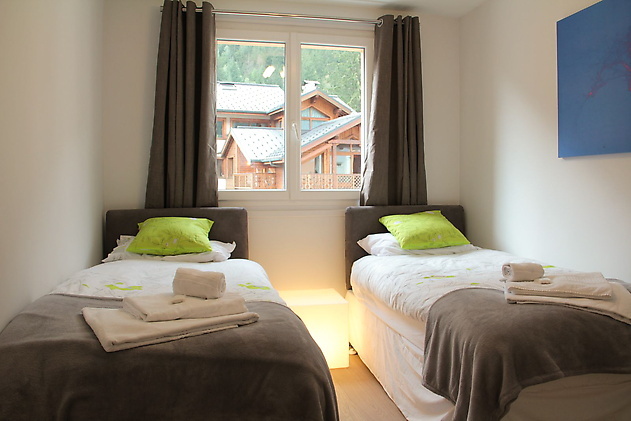 The Le Savoy ski lift is one minute walk from the door and takes you up in to Le Brevant – La Flegere ski areas . 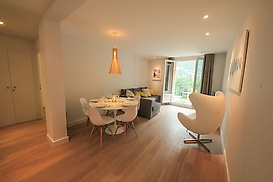 Click for Prices and Availability for Apartment Sidra now. 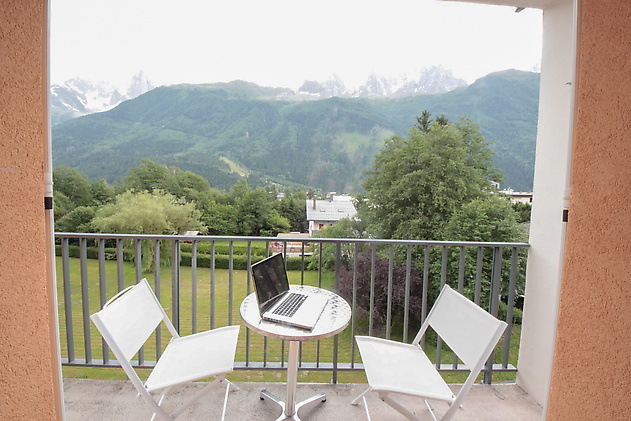 Apartment Sidra is a gorgeous two-bedroom apartment with south-facing balcony with views of Mont Blanc. 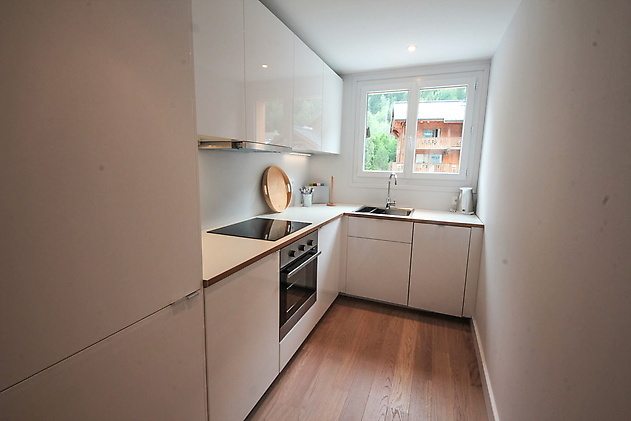 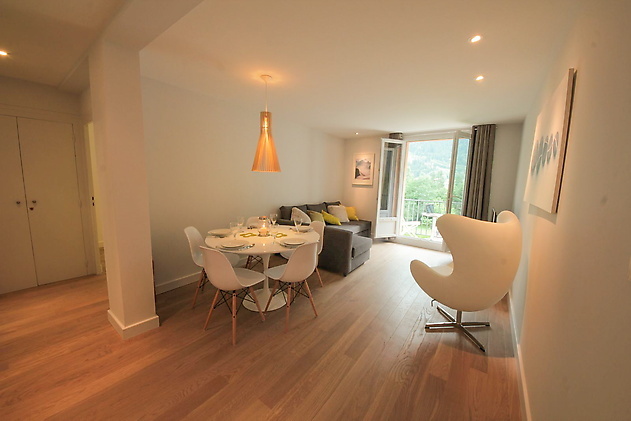 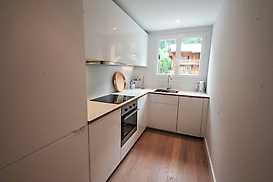 Private parking and two minutes walk from Chamonix town centre, the ski lift and sports centre and swimming pool. Externally the apartment benefits from a large ski room for winter equipment or several bikes and private, gated parking.